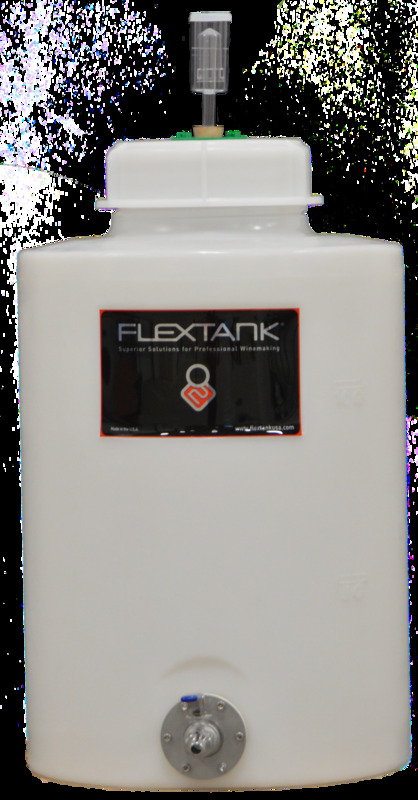 The EM15 is our new 15 gallon Flextank designed for smaller batches, home use, experimenting and topping. It is totally fitted with a quality stainless steel 1/2 inch ball valve, hose barb and ferment lock. The EM15 is our new 15 gallon Flextank designed for smaller batches, home use, experimenting and topping. It is totally fitted with a quality stainless steel 1/2” ball valve, hose barb and ferment lock and american oak sticks. The EM15 is our new 15 gallon Flextank designed for smaller batches, home use, experimenting and topping. It is totally fitted with a quality stainless steel 1/2” ball valve, hose barb and ferment lock and french oak sticks. The EH15 is our new 15 gallon Flextank designed for smaller batches, home use, experimenting and topping. It is totally fitted with a quality stainless steel 1/2” ball valve, hose barb and ferment lock. The EM15 is totally fitted with a quality stainless steel 1/2" ball valve, hose barb and ferment lock (as shown in picture).